I designed this Edmonton roof garden when I worked for Carlyle and Associates Landscape Architecture and Urban Design in 1992. 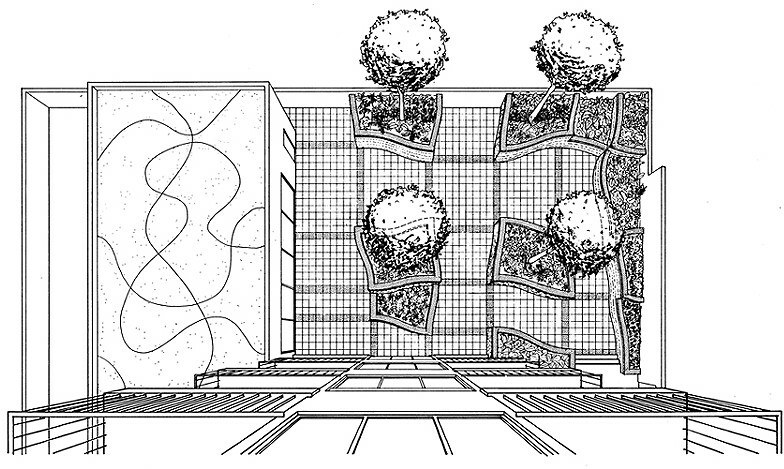 The brief was to landscape a terrace over a parking garage at the base of a high-rise apartment building, necessitating that planters be raised above the level of the terrace by means of retaining walls. The planters vary in height according to the depth required for different kinds of vegetation. 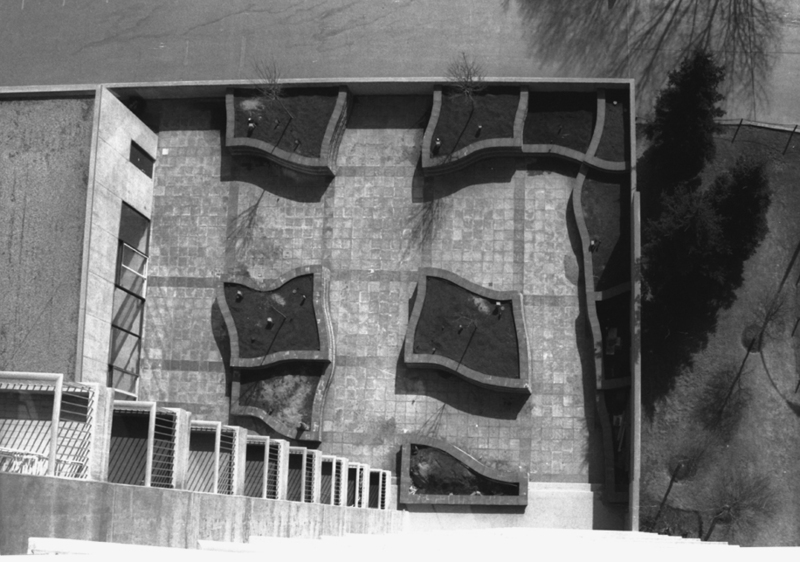 A modular, mortarless precast concrete block retaining wall system was used that permits subtle curves but whose corner blocks are right angles. Thus, a grid is established and subtly distorted by the curvilinear walls of the essentially quadrilateral planter geometry, resulting in geometric playfulness that can be appreciated from high up year-round, as well as up-close in the garden itself in the summer season.